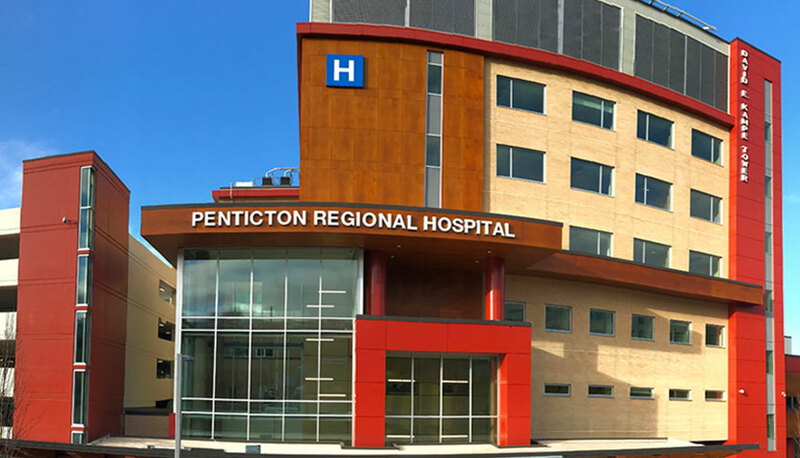 There’s just a few weeks to go before Penticton Regional Hospital’s new David E. Kampe Tower opens for patients on April 29th. While excitement builds and the countdown continues, the South Okanagan Similkameen Medical Foundation has entered the home stretch in its $20-million campaign to provide the medical equipment for the PRH expansion. Millions of dollars in new equipment is already in place, but there’s still $1.2 million left to raise. “We’ve received incredible support from throughout the community, now we just need a bit more so we can fund the equipment going into the soon-to-be renovated and expanded Emergency Department,” said Carey Bornn, Executive Director of the SOS Medical Foundation. Construction of Phase 2 of the $312-million PRH project, including the Emergency Department upgrade, will begin just a few months after the opening on the new tower. There are a few room-naming opportunities remaining for major donors, but no donation is too small. Construction of the six-storey tower began in 2016. It includes 84 new single-bed rooms, five new surgical operating rooms, new ambulatory care clinics and more. In addition to the Emergency Department upgrade, Phase 2 will also see renovations to the hospital pharmacy and material storage area.